Working on logos is one of my favorite kind of design projects. Meeting with the client, researching the type of business, brainstorming ideas on paper, brainstorming ideas in Illustrator or Photoshop, narrowing it down to 10 ideas, narrowing it down to four, narrowing it down to one. Sometimes the "one" is easily known from the get go, sometimes the last four all all working and then what do you do? 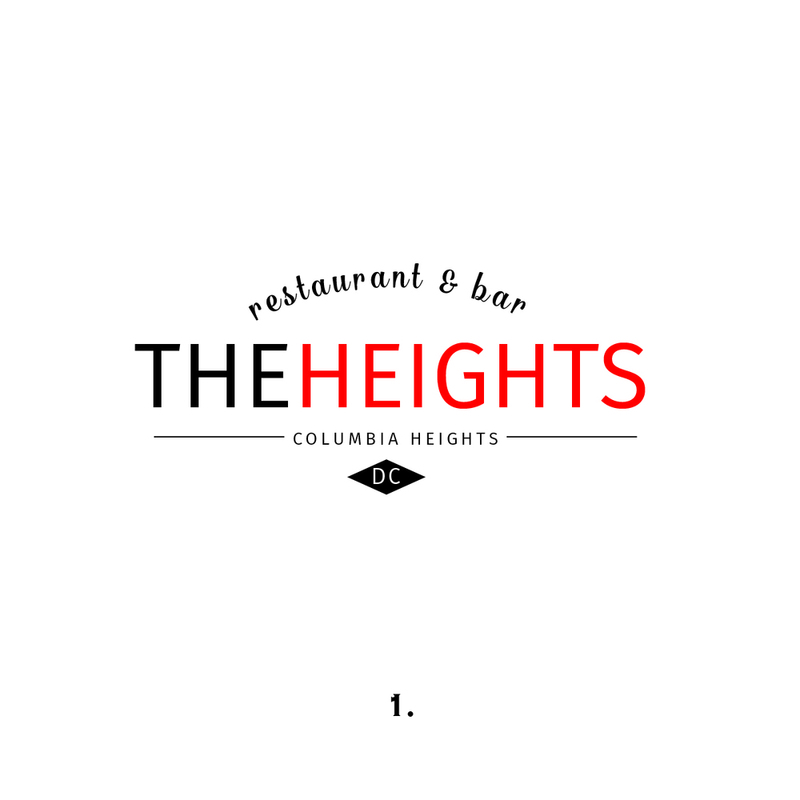 I am curious to know your thoughts on this one I am working on for The Heights Restaurant & Bar in Columbia Heights. It is an awesome place, doing a thriving business and they are ready for a refresh on their look. Let me know which you like best.